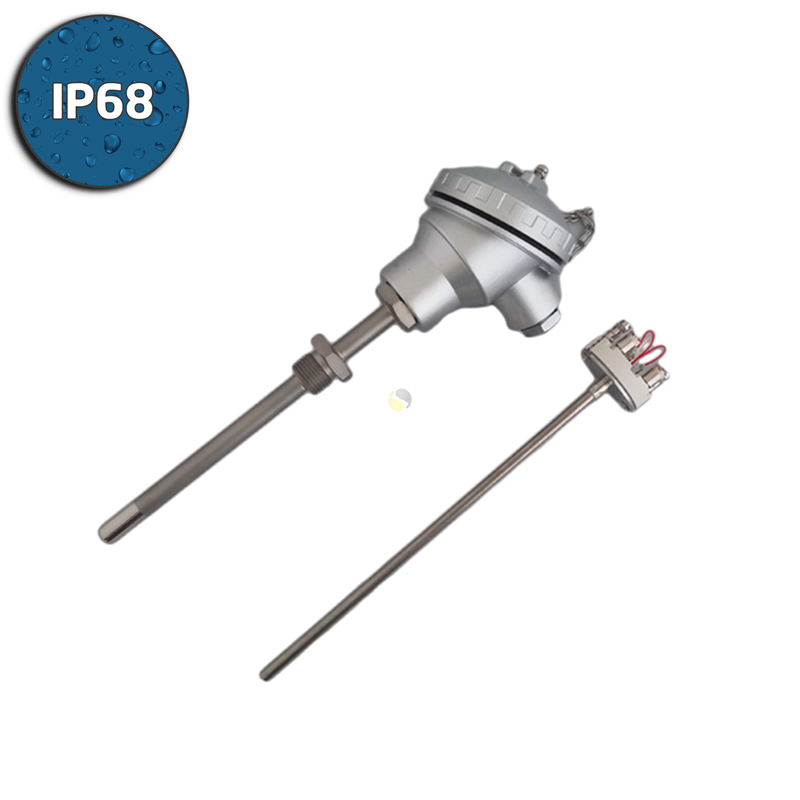 Industrial Thermowell Assembly with Removable Pt100 Insert for Easy RTD Sensor Replacement. 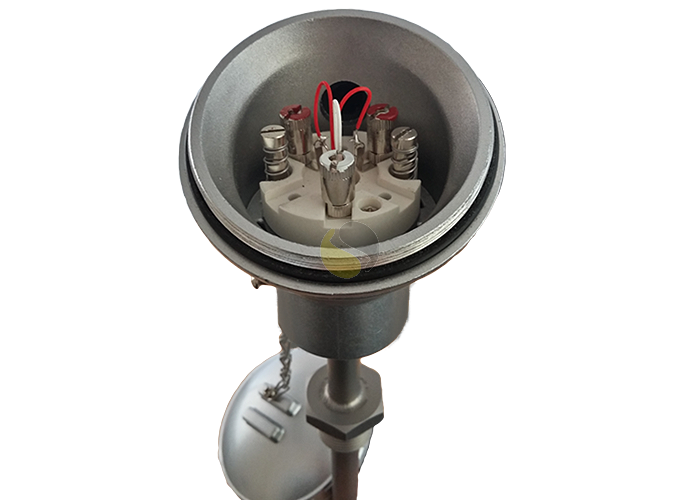 This range of high quality fabricated RTD sensors is ideal for temperature measurement in gases or liquids in industrial applications. 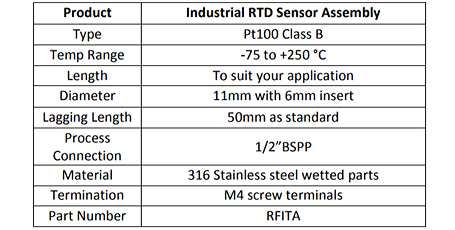 The RTD probe features a 6mm diameter spring loaded removable insert, available with a Pt100 Class B sensor as standard, making it easy to replace for maintenance and repair. 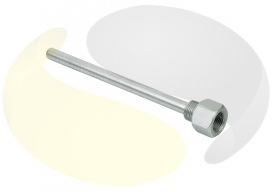 The standard process connection is ½” BSPP with an 11mm diameter stem, all made from 316 stainless steel. Various immersion lengths are available to suit your process with a standard lagging length of 50mm below an IP68 KNE weatherproof terminal head. 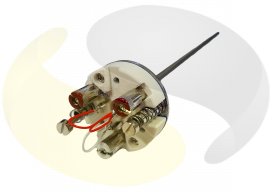 Many options are available such as; alternative lengths, diameters, process connections, in-head transmitters and terminations. 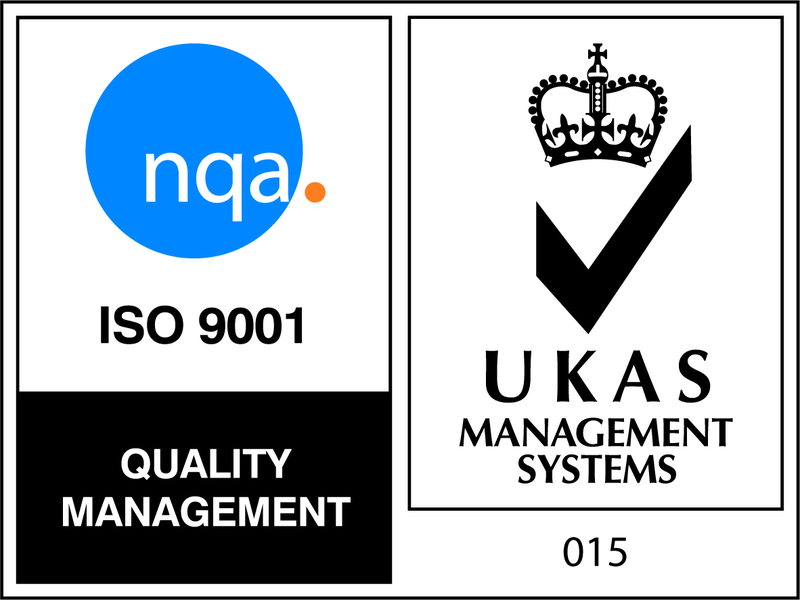 As well as our standard range, we design and manufacture custom assemblies to suit your specific application needs, including alternative materials, terminal heads, reduced tips and flanged process connections.